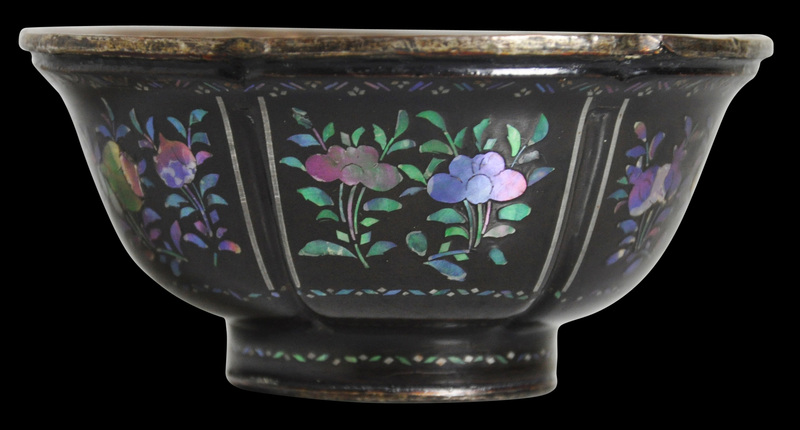 Each of these four rare burgaute lacquered cups is of black lacquer inlaid with iridescent shell. Each is of scalloped form with six panels each decorated with sprays of peonies, chrysanthemums, pomegranates, finger citrons and the like. Fine strips of silver separate the panels. 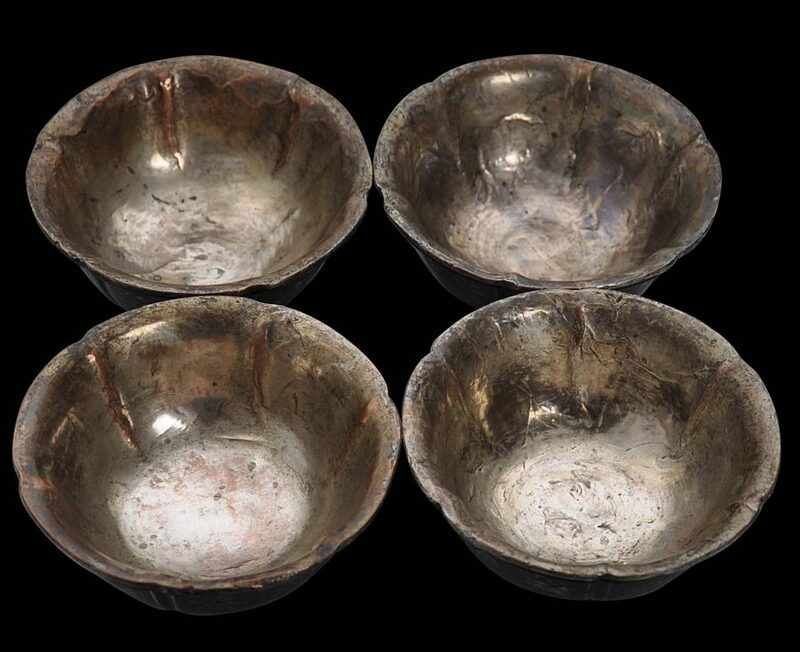 Each cup is also lined with thin silver sheet, as are the bases. The silver retains remnants of gilding (gold plating). 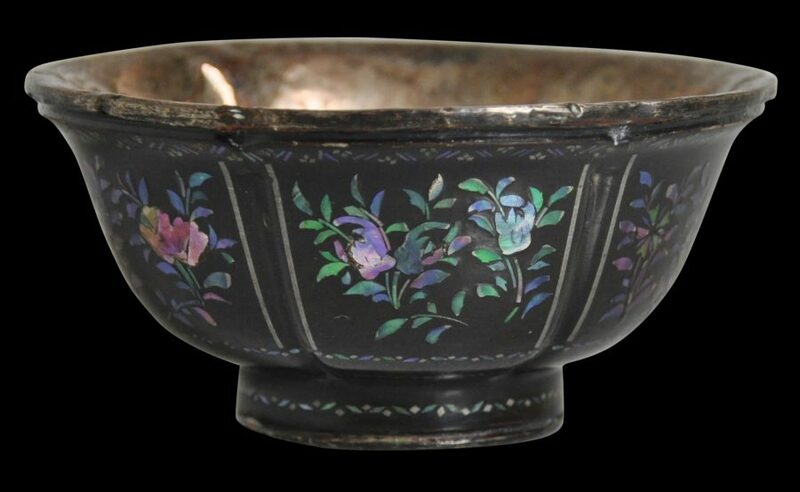 Burgaute lacquer or lac burgautéis a decorative technique that originated in China and was used particularly during the Kangxi period (1662-1722) to produce items made of lacquer which were then inlaid with small mosaics of the iridescent blue-green shell nacre of the abalone or sea-ear shell (Haliotis). 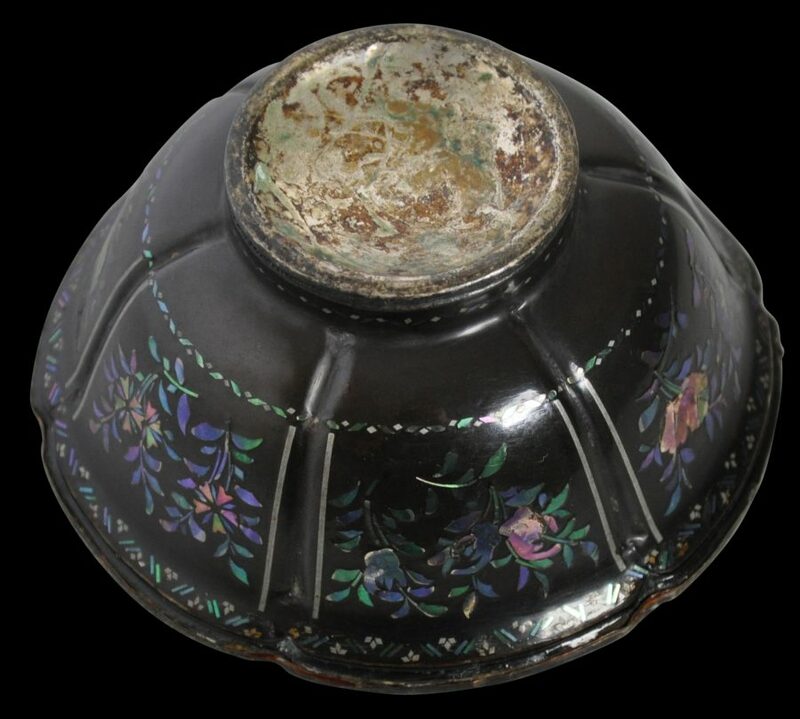 The workmanship was exquisite and costly and so was used principally to produce small objects such as tiny boxes, miniature table screens, vases, and little silver-lined wine cups, such as those here. For two related cups, see Arts of Asia, March-April, 1986, p.17, and for an inlaid tray made using the lac burgaute method, see McElney (1993, p. 135). 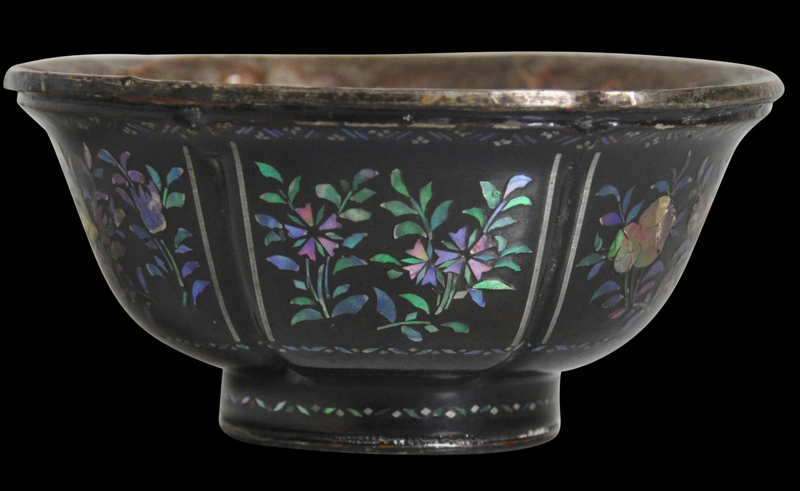 The cups here have trivial cracks to the lacquer as might be expected but otherwise are in very good condition given their age and the material from which they are made. 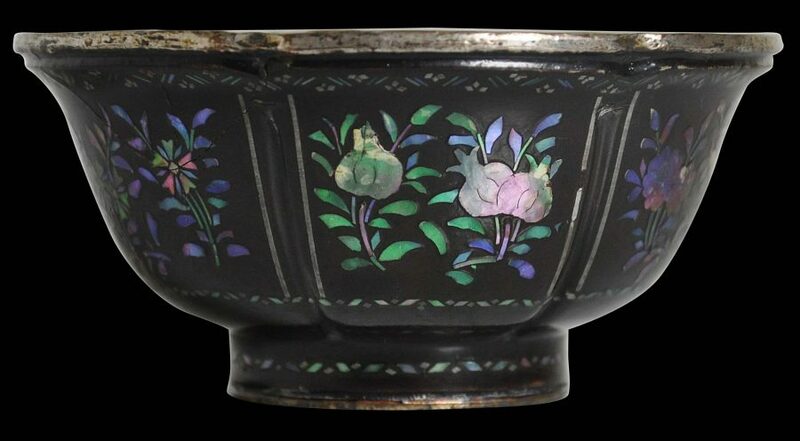 The inlay work and the rendering of the floral and fruit sprays is particularly fine and pleasing. It is especially good to see finger citrons and pomegranates rendered using the lac burgaute technique. Arts of Asia, March-April, 1986. McElney, B., The Museum of East Asian Art, Bath, England – Inaugural Exhibition. Volume 2: Chinese Metalwares and Decorative Arts, The Museum of East Asian Art, 1993.